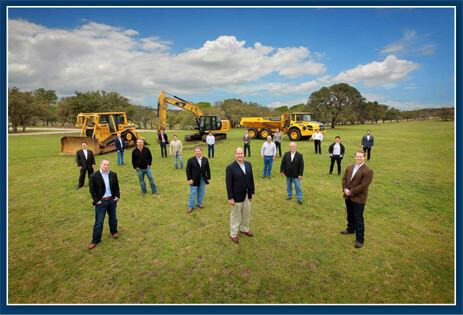 (May 19, 2015—DRIPPING SPRINGS) Caliterra, the new 600-acre master-planned development in Dripping Springs, announced its award-winning Austin builders today. Ranging from the $300s to $700s, Drees Custom Homes, Grand Haven Homes and Scott Felder Homes will be building in the initial phase of Caliterra. The development has lots for 600 homes with scenic views along a portion of Onion Creek. Homes in Caliterra will range from 2,200 to 5,000 square feet and builders have several new floor plans for the Hill Country development. Over 250 acres of Caliterra is preserved as open space that maximizes views, protects wildlife habitats and maintains the rural ranch heritage of Dripping Springs. Phase I amenities include a Welcome Lodge and Coffee Shoppe; on-site Event Pavilion and Adventure Cabin for resident and community gatherings; a community garden where residents can grow their own produce; children’s splash pad and play area; Treehouse Park; and an open air picnic area and fishing dock. Phase II amenities will feature a luxurious residents-only Club House with resort-style pool and cabanas; a 33-acre Central Park with six miles of nature trails, playscapes and Turkey Hollow, a space that is great for exploring and camping. Another added amenity is that Caliterra is using natural gas throughout the development. It is the first community in Dripping Springs currently offering this highly cost efficient alternative to propane gas. Natural gas is not only much less expensive than propane, but it is also a cleaner burning fuel that does not release pollutants into the air. The local Dripping Springs community is just a few miles away and is home to Mercer Street, which hosts local restaurants, specialty shopping, an historic dance hall and weekly Farmer’s Market. Approximately 20 minutes from downtown Austin, Caliterra is located right off of highway 290, just south on Ranch Road 12. Its convenient location allows for easy access to the airport, surrounding cities and the Hill Country. Caliterra will be open for Pre-Sales by June 1st. The models will be ready to tour early Fall. For more information, go to caliterraliving.com.